It’s mid-month, plenty of time for the 6th Annual Jazz Critics Poll (formerly the Village Voice jazz critics poll) results to have been posted and parsed. Before I go on, I must thank Francis Davis for again asking me to participate in that endeavor. I hope I discharged my duties honorably in such lofty company. I mean, those are my idols up there! Having saluted that particular flag, I’ll now take a shot at it–not at the poll itself, because I stand by my picks–but rather at the limitations of such a poll. And they are the reasons that I’m offering my own list here. 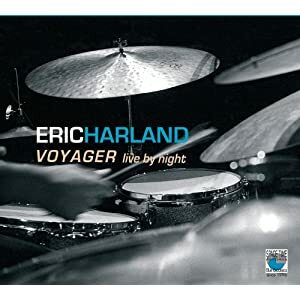 The first is that jazz (or Black American Music, the term that Nicholas Payton has argued for in a thought-provoking series of blog posts, is not the only kind of music I listen to and enjoy, and I wanted acknowledge some of the CDs I liked that were non-jazz (or BAM). And about those CDs–at a time when music is consumed via .mp3 downloads, webstreams, podcasts and other forms unknown to me, isn’t the notion of the CD as the unit of analysis for music just a little outdated? Some of the best music I’ve heard this year has come from these emerging (emerging, hell, they’re here!) sources. You can like it or not, but this trend is not going away. And finally, the Rhapsody poll, while comprehensive, didn’t permit much in the way of analysis and commentary. Wait! You will not have to wade through little essays here, but I want to say a few things about the state of the music that were not possible in the structure of the Rhapsody poll. That’s what such polls are for, right? That and ranking, but I won’t do that. I don’t pretend to know what the “best of 2011” is like, only what I liked. Thus the title of this post. It’s one man’s opinion, and I welcome the inevitable rants, disagreements and co-signs. That’s what makes this so much fun. On a yearend podcast, the New York Times’ Ben Ratliff lamented the many CDs that were inconsistent, full of largely brilliant work, but with one pedestrian cut or an outright clunker that, taken as a whole, couldn’t rightfully be included in a Top Ten. I heard a lot of these CDs this year. To these ears, I found fewer consistently strong CDs this year than before, the fanboy’s tendency to ascribe a glow to the music of the past–even the very recent past–notwithstanding. Still, I heard many very good jazz CDs this year, but very few great ones. Some of the great ones (presumably including the Sonny Rollins CD that topped the Rhapsody poll, for instance) are absent from my list. There’s a reason for that: I didn’t hear them. Most of my listening is enabled by the kindness of record labels and publicists who supply me with advances. But let’s be honest. A writer in Erie, PA is pretty low on the arts-journalist food chain, so there’s much that I don’t even receive, and having a day job and a daughter, there are only so many hours in the day for even such worthy fill-ins as Spotify and MOG. So thanks to the people who found a way to find me, and thanks to some colleagues or bloggers who suggested music or whose high opinion I followed to some unexpectedly great places. Enough. Let’s do this. In alphabetical order by artist . . . BAM! If you pressed me to name the CD I listened to the most this year, I’d probably choose this one. 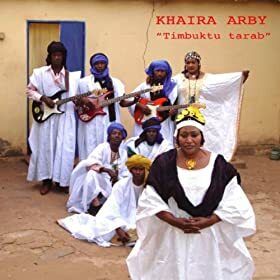 Arby is from northern Mali, and there is some of the winding, Tinariwen-like “desert blues” in her music. She has a searchlight of a voice and a commanding personality that comes through despite the fact that I understand not one word of the many languages she employs here. What really seized my attention, though, is her band, with guitars that eschew the chiming, clean sound favored by so many African players in favor of overdriven, gritty textures. Grit is what you find in the desert, isn’t it? Mix poetry and jazz and the usual result is lit-major pretension or unintentional faux-hipster hilarity. Not here. John Hollenbeck has set the words of Kenneth Patchen with sensitivity and an acute ear to the rhythms of Patchen’s verse. That’s not a surprise. Hollenbeck is a drummer with big ears born of wide experience, some of it with the promethean Meredith Monk, who also has a way with music and words. Here’s a surprise: there are two vocalists and one of them doesn’t sing. Theo Bleckmann is the one who does, and this always-interesting artist doesn’t disappoint. Neither does Kurt Elling, who reveals himself to be a canny voice actor with crystalline diction. He’s got a great future as a voiceover artist. Okay, this one is a bit of a cheat. A webcast from the Sons d’Hiver Festival in France, this is no longer available (though a bootleg video is said to be circulating). So, why include it? Because Coleman is the answer to the question: Who is the toweringly influential player, the Charlie Parker of today? Also because this band, a sextet with Coleman’s longtime trumpet foil Jonathan Finlayson, two vocalists, including the amazing Jen Shyu and guitarist Miles Okazaki, lays out the intricacy of Coleman’s concept with the grace and seductiveness that made last year’s Pi Recordings release Harvesting Semblances & Affinities my runner-up CD of the year. Coleman’s music can often seem dense and hyperkinetic, but this band has an airiness that may seem at odds with Coleman’s conception. Part of it is the presence of the Chicago flutist Nicole Mitchell, and the absence of drums allows the music to spread out. This year’s Pi release, Mancy of Sound, was very good, but this webcast is better still. It demonstrates that in his sixth decade, Steve Coleman not not stood still. Let’s hope it finds its way back into circulation, and soon. Putting aside for the moment any distaste you may have for the word “jazz” (I’m not a fan, either), let me offer you a definition. It’s the musical place where cultures meet, and that’s the beauty and the singularity of Inana, Chicago-born AmirElSaffar’s third Pi Recordings effort. Like last year’s fine Radif Suite, Inana is built on the”Ornette” quartet of ElSaffar’s trumpet, saxophone, bass and drums. Last time out, ElSaffar’s foil was the wonderfully blustery Iranian-American tenor saxophonist Hafez Modirzadeh. Here he has Ole Mathisen, and with the strong rhythm team of bassist Carlo DiRosa and Nasheet Waits on drums, they represent the American side of the encounter. 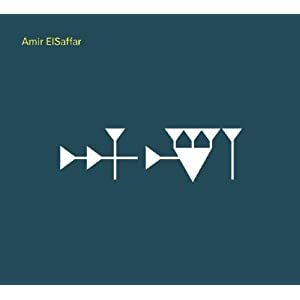 The Iraqi side of ElSaffarâ€™s heritage is here in the oud, buzuq, microtonal intervals and the Mesopotamian mythology that inspired the suite that commands most of this grave and idea-filled CD. Jazz fans, meet your future. 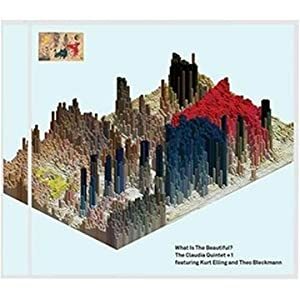 Taylor Eigsti on piano, Julian Lage on guitar, bassist Harish Raghavan and Walter Smith III, a broad-shouldered tenor saxophonist, attack this music with an animal intensity that seems to have gone out of style. It’s tremendously exciting stuff, the kind of music that grabbed a lot of listeners (me included) by the ears and made us fans for life. The kids (Harlan, the oldest player here, is just 31) forcefully make a case that now is their time. Occupy the Bandstand! 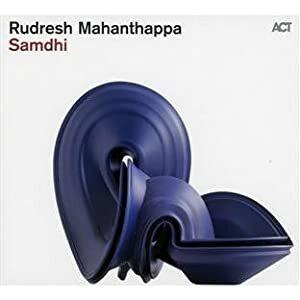 Rudresh Mahanthappa’s Apex was my favorite CD of 2010, mostly for the unstoppable power and ferocious commitment of his playing and that of altoist Bunky Green. He’s back with another Large Hadron Collider of a CD, this time in a fusion-y setting. There are a lot of younger jazz players around who adopt a cultivated watchfullness. Not Mahanthappa, whose relentless, jackhammer attack and meaty tone are perfectly set-up here. Indo jazz-rock fusion has been around since the Mahavishnu Orchestra, but it was never as effortless–or as blazing–as this. Yes, this band had a commercial CD release this year, but Threedom only hinted at the white heat, supernatural rapport and microprocssor-speed reflexes on this half-hour studio session for WBGO’s indispensable “The Checkout.” The trio dissembles four standards, Joe Henderson’s Isotope, Dear Old Stockholm, Well You Neednâ€™t and Ellington’s underplayed Take the Coltrane, and recreates them fragment by fragment. It’s the musical equivalent of Ferran AdriÃ ‘s molecular gastronomy and it’s dazzling. I’ve got a thing for drummer-led sessions. Who doesn’t? But Sorey is a drummer who thinks like a composer (heâ€™s in the Ph.D. composition program at Columbia) and plays like an orchestra. 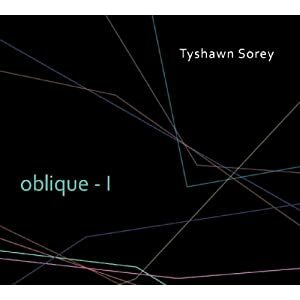 This is a sometimes quiet CD that bears close listening for Sorey’s novel approaches to texture, density and gesture. The band, with up-and-comers Loren Stillman, John Escreet and Todd Neufeld matches Sorey great idea for great idea. If there was a truly great CD this year, it was this one. Taborn has been blazing a singular path on piano since his work on James Carter’s astounding debut 1994 debut CD J.C. On the Set. 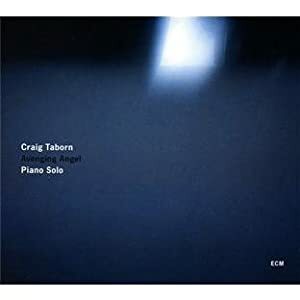 He’s one of the most fascinating sidemen around, but nothing could have prepared me for Avenging Angels, a solo piano CD so unexpected and staggeringly original that itâ€™s like discovering a hitherto unknown continent. Far and away the most mesmerizing, accomplished and important release of the year. Nothing else even comes close. You can make the case that this is the most conventional release of the bunch: a star soloist playing over standards from the early decades of the century. There’s even a horn section. Shades of Don Sebesky and Creed Taylor. And Zenon plays just as pretty as Stanley Turrentine or Freddie Hubbard did on those CTI releases of–can it be?–40 years ago. What’s different here is the material. 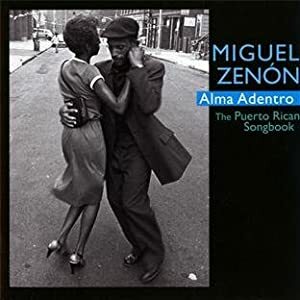 Though these songs are by composers Zenon calls ”the George Gershwins, Cole Porters and Jerome Kerns of Puerto Rican song,” few North Americans will have had any contact with these gorgeous melodies. Zenon milks them for all their considerable worth with a singing, emotional tone that grabs the ears and the heart with equal fervor, a make-out record for lovers with sophisticated musical tastes.